The PS Vita Slim, also known by the model number PCH-2000, first launched in Japan back in October last year. The UK followed in February and the US earlier in May. Now it's Australia's turn, with June 4 the date and AU$269.95 the price. 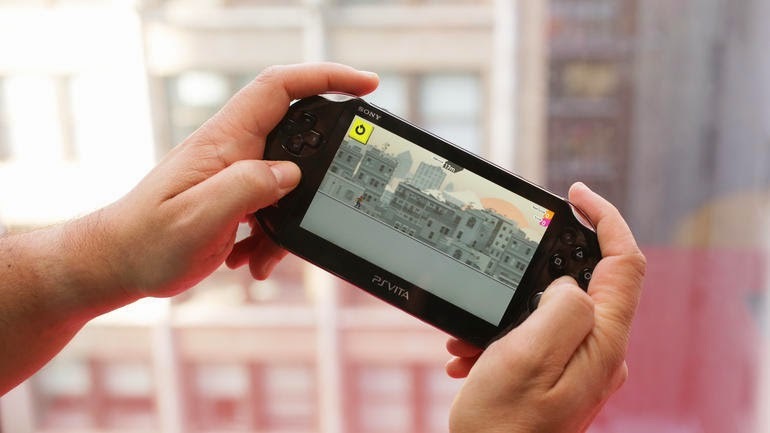 The Vita Slim shaves 20 percent of the width and 15 percent of the weight off the previous model, but swaps out the 5-inch OLED touchscreen for a standard LCD panel. The battery has been boosted, with Sony claiming a 4-6 hour life when gaming, and seven hours for video watching. The slim also bumps up the on board storage to 1GB.